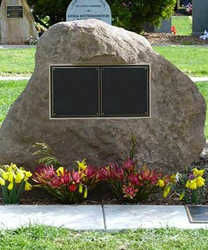 We have a wide variety of natural rocks to choose from for that personal and everlasting tribute to your loved one. Equally, many people equate the loss of a pet to that of a human loss and we have rocks that will suit your particular requirement. Feel free to wonder amongst our range and make your personal selection that meets your requirement.